It's always great when St. Patrick's Day falls on a weekend. This year, the holiday is Sunday and there are plenty of festivities happening both March 16 and March 17. If you want to raise a pint to celebrate, there are parties, bar crawls and a huge beer festival. We also listed a few non-St. Patrick's Day events happening March 15-17, in case you're trying to stay away from all the green beer. • McGillin's Olde Ale House is opening an hour early on Sunday. Starting at 10 a.m., drinkers can get green beer at Philly's oldest bar. There will be a $5 cover on St. Patrick's Day. Leading up to the holiday, McGillin's will have Irish food specials like shepherd's pie and corned beef and cabbage. • Xfinity Live! 's spring craft beer festival, Springfest Live!, is the place to be to celebrate St. Patrick's Day this year. The beer festival is happening Saturday and promises green beer and Irish bands. Tickets are $45 and include unlimited samples from nearly 100 breweries. • In Manayunk, there will be a St. Patrick's Day bar crawl on Saturday. Tickets are $12 and include drink specials and no cover at Sona Pub & Kitchen, JD McGillicuddy's, Ryan's Pub, Bayou, Cactus, Pitcher's Pub and the other participating bars. • St. Stephen's Green is hosting a block party again this year to celebrate the holiday. There will be tons of drink specials, multiple outdoor bars, live music and Irish dance performances. The party runs 10 a.m. to 8 p.m.
• Can't talk about St. Patrick's Day weekend in Philly without mentioning Erin Express. Love it or hate it, it's happening Saturday. Check out the bar crawl locations here. 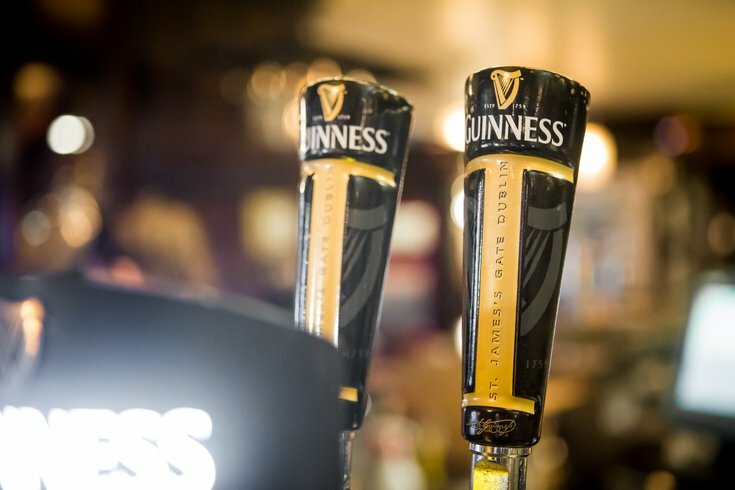 • Fadó Irish Pub will have live Irish music on both Saturday and Sunday. • Weavers Way in Chestnut Hill is throwing a backyard party on Saturday from noon to 4 p.m. The co-op teamed up with neighbor Iron Hill Brewery for the event. Pints of Irish Red Ale and O'Sullivan Stout will be available, and Iron Hill will donate $1 for each sold to the Irish Immigration Center of Philadelphia. Also, there will be hot corned beef and cabbage, and corned beef sandwiches, as well as live Irish music and games for kids.